Did you know owners of properties in Metro Vancouver may have a potentially costly underground storage oil tank (UST) in their backyard? Clean-up and liability issues can come into play if the oil tank leaks and contaminates your property. If the contaminant originates on your property and then seeps onto adjacent properties, you could be liable for the mess and any clean-up on those properties. Ouch! 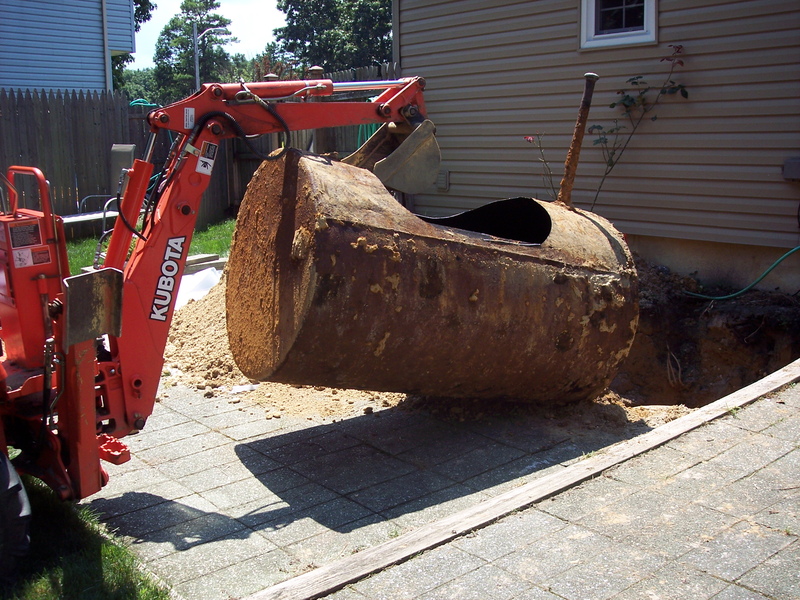 Underground oil tanks were commonly installed on properties beginning in the late 1950s. Oil was the primary source of heating fuel for homes until natural gas replaced it due to lower cost and ease of connecting to utility gas pipelines. The oil tanks were usually just capped and decommissioned in place at this point – some with oil remaining in the tanks! There are many companies in Metro Vancouver that use scanning equipment to check for buried oil tanks for a nominal fee. If there is any possibility that there may be a UST, doing the scan makes sense for buyers and is almost always advisable for sellers. Caveat emptor (buyer beware) is the best policy when it comes to oil tanks and avoiding the associated risks with buying a property where one may be lurking. The cost to remove a decommissioned tank that has not leaked is much less than a major environmental clean-up of a decommissioned leaky tank. Insist on full and proper tank removal documentation in the purchase contract if you are a buyer. To complicate matters further, different municipalities around Metro Vancouver have different requirements to follow during removal. For further reading I recommend a great article by The Spagnuolo Group of Real Estate Law Firms.